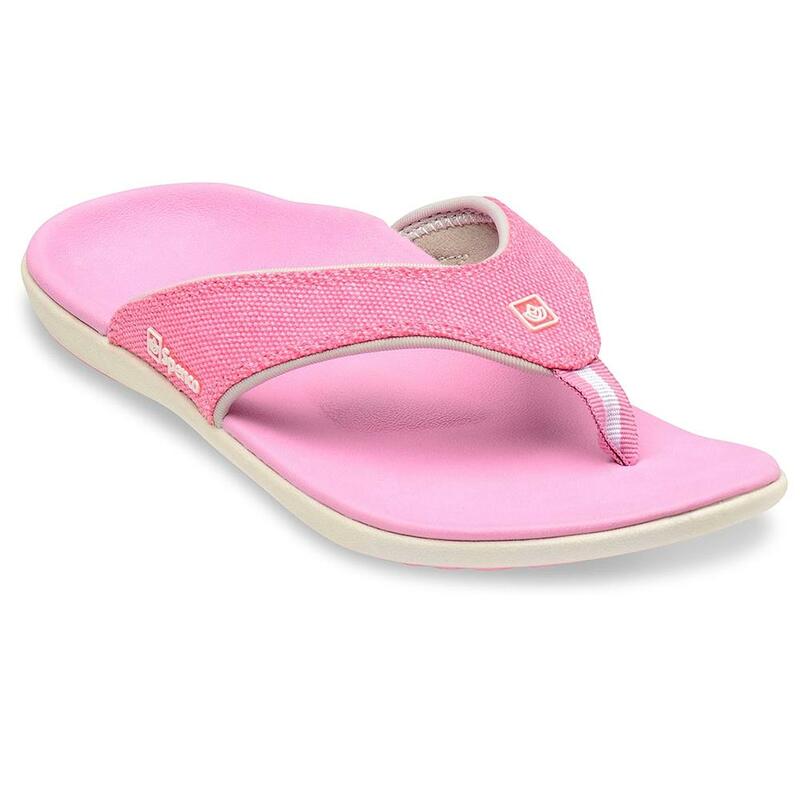 If you love the look of flip-flops but your feet can’t take more than a step or two in them before reminding you they're not happy, give the Spenco Yumi Canvas Sandals a try. The Yumi sandal gives you all the support of traditional Spenco orthotic insoles without confining your feet to a shoe. Superb cushioning and a footbed that molds to the contours of your foot over time, make these the perfect choice for athletes and anyone else looking for comfort during extended periods of time on their feet. "Do these come in a wide width"
"This item comes in regular width only." "Do I go up or down for 1/2 size?" "You should size up 1/2 size in the Spenco Yumi Canvas Sandals." "Do they have the pebbles texture on the foot bed if so can't wear them"
"Thank you for your inquiry. Yes, the Spenco Yumi Canvas Sandals does have a pebble texture on the bottom of the heel. We hope this information helps!" I have very wide feet and these fit great and provide a lot of support. Better than any of my walking shoes! I have trouble with my legs and feet and have had a 2 pairs of these for several years. The support is perfect and I can walk in these all day. I would rather where these than walking shoes or sneakers from Spring til Fall!